Twenty years ago, many systems lacked the rich data they needed to inform and improve instruction. Today, systems are awash in data to the point where parents, educators and other leaders have begun to question the value of assessment overall. 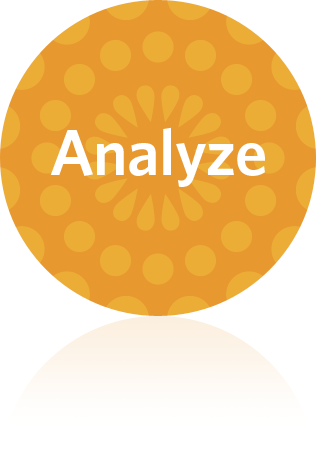 All assessments are high quality and produce meaningful and accurate data aligned to the assessments’ intended purposes. District central office leaders know the assessments schools are giving, and for what purposes. Assessments are aligned to college- and career-ready standards and represent appropriate rigor. 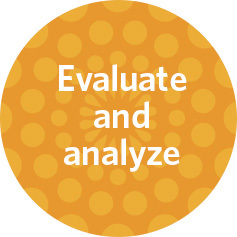 Teachers and school leaders understand the purposes of all assessments, and know how to use data from each assessment to drive instructional improvement. 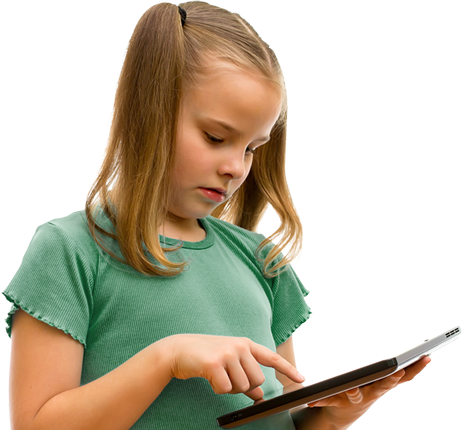 Students and parents understand all assessments and their purposes, and believe the data are valuable. The fewest possible assessments and least possible amount of total testing time provide the best possible information. Our playbook was designed to provide actionable, step-by-step guidance for district and CMO leaders, based on our 2014-2015 initiative with Syracuse City School District. The playbook was built to accompany Achieve’s 2014 Student Assessment Inventory for School Districts. Throughout the phases of the playbook, we give clear and detailed directions for school system leaders on the steps they should take in the assessment streamlining process, offers lessons learned from our work in Syracuse, suggests common pitfalls to avoid and shares plug-and-play or adaptable tools and materials. You can read the full playbook here, or explore each phase below. 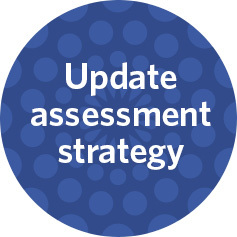 For each, you’ll find a set of step-by-step directions and links to useful tools to guide a school district through the entire process of retooling assessment strategy and systems. The playbook includes guidance on what school district leaders need to do to successfully undertake an assessment system review; lessons learned from our work supporting assessment streamlining with Syracuse; and practical advice on common pitfalls and how to avoid them. 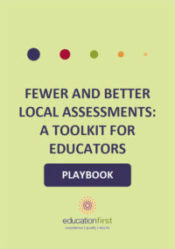 We believe the step-by-step instructions in this playbook can help districts and teachers make tough choices about which tests to cut, which to improve, which to keep as is and which assessments to add where gaps exist. 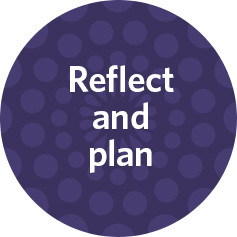 School districts can use the advice and tools to continuously improve their own planning and implementation, as well as to authentically engage teachers in district-wide assessment improvement. The result: Better, clearer and more supported district-wide decisions that lead to clear, coherent and aligned systems of high-quality assessments. 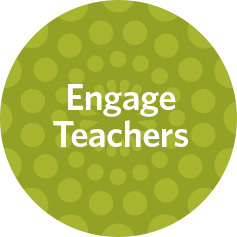 In 2014, the New York State Education Department (NYSED) created the Teaching is the Core grant to help school districts improve the quality of all local assessments, while eliminating or modifying those that do not contribute to teaching and learning. Throughout 2014–15, Education First supported Syracuse City School District (SCSD), working closely with the chief academic officer, chief accountability officer and chief human capital officer, to identify goals and priorities for assessment and communicate with stakeholders, including teachers and their union, principals, families and the school board. In Syracuse, district leaders decided to identify every single assessment used by more than one classroom/by more than one teacher, measuring more than a week’s worth of instruction. 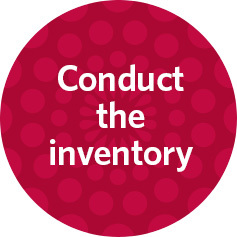 Together, we created a survey to inventory school-level assessments—which identified 63 additional assessments in five core areas! Working closely with the district’s academic leadership, we assembled educator review teams in four subject areas and for English language learners to evaluate the quality of these assessments. In partnership with Achievement Network (ANet), a national nonprofit that supports school improvement and better use of data in Syracuse and around the nation, we devised a rubric based on the Council of Chief State School Officers’ Criteria for Procuring and Evaluating High-Quality Assessment and aligned the rubric with five NYSED-required criteria: rigor, comparability, informs instruction, supports learning goals, and uses diverse assessment techniques. After the educator review, SCSD staff defined an assessment framework detailing what assessments would be streamlined, replaced or eliminated, what would be modified and what would be maintained. I read this article and found it very interesting, thought it might be something for you. The article is called Playbook and is located at https://education-first.com/playbook/.